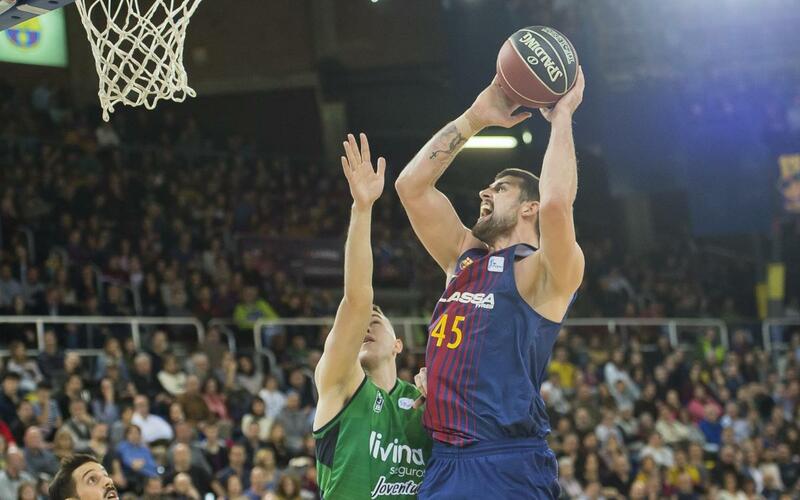 Barça Lassa won the derby this Sunday against Divina Seguros Joventut (91-79), and Sito Alonso’s side were indebted to Sanders, Hanga and Pau Ribas with 16, 15 and 14 points respectively. After the defeat in the Euroleague against Fenerbaçhe and against Andorra on the last Matchday of the Endesa League, the Blaugrana wanted a return to winning ways. They managed it in a game that wasn’t at all easy. After all, a derby is always a derby. Despite the visitors to the Palau being second from bottom, the hosts were only slightly ahead at the end of the first quarter (13-9, min 10). Pau Ribas kept the score board ticking along from the three point line, and with Moerman, Tomic and Hanga excellent in picking up the defensive rebounds, it allowed Barça Lassa to dominate and go in at the break with an 11 point advantage (40-29, min 20). Kulvietis, Laprovittola, Dimitrijevic and Richard were Joventut’s most incisive players, and they kept the green-and-blacks within touching distance of the hosts. The visitors were successful in eight out of 14 three-pointers and Laprovittola had managed 20 points of his own, but Barça’s Ribas, Hanga and Sanders - top scorers in the game with 14, 15 and 16 points - continued widening the advantage until they were 16 to the good. By the end of the game the distance was reduced to 12 (91-79), but the margin of victory didn't reflect how much the hosts had to suffer at times.